Last week we shared the importance of adding Instagram to your online marketing platform. Sharing photos on all your social media such as Twitter and Facebook generates a tremendous amount of interest. But what if you want to broaden your audience? How do you find new followers and share your pictures with more people? A hashtag is a label, so to speak. It is a tag embedded in a message, consisting of a word within the message prefixed with a hash sign (#). It began on Twitter as a way to categorize Tweets. Their popularity soon took off, so Twitter began automatically linking them into the search engine. Hastags are now used in Instagram for the same purpose. Adding tags to your photos allows you to share your photos with more people and really create a name for yourself. However, there is a trick to using hashtags, so be sure to keep a few things in mind. Be specific. Tags that are too general will leave people wading through pictures that might not be pertinent, and most likely your photos will simply be lost in the crowd. For example, instead of using the tag #design, it is better to use #graphicdesign. Instead of drowning in a page containing interior design, fashion and art, your photos will be added to that highly targeted tag page where other graphic design lovers will be able to find them more easily. Do not post things that are off-topic. Make sure your tags are relevant and actually describe your photo. For example, the tag #photo will land you a place in line with 700,000 other photos tagged that way. If you really want to stand out and connect with the people most like you, use relevant tags. Be observant. Watch what others are posting and pay attention to their hashtags; you may find a popular tag that you wouldn’t have thought of on your own. Hashtags should be used in every picture you post on Instagram. Minimally, you should tag each post with your name preceded by a hashtag (i.e., #yourcompanyname). This will enable any user interested in your pictures to find them easily in one single search. You should also include the subject of your picture, such as “#sunsets” or “#gardens”. 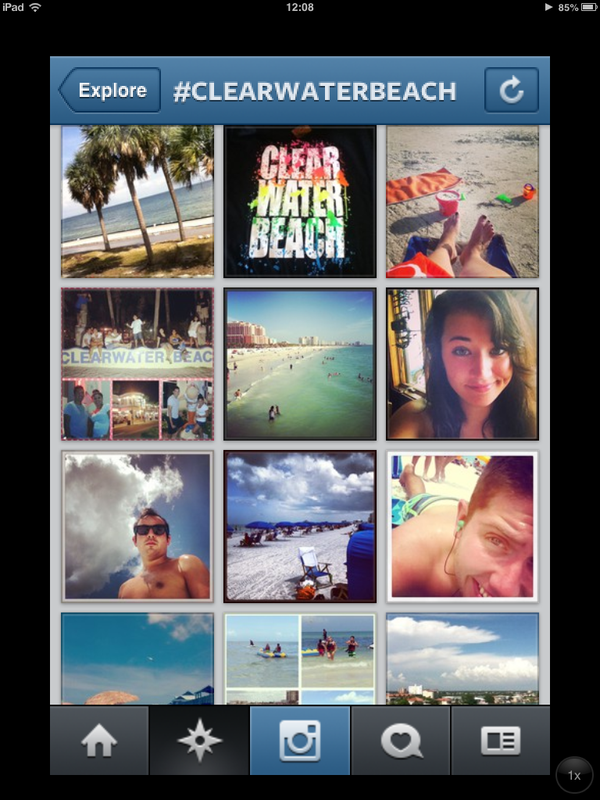 Other tags can include your location, such as “#ClearwaterBeach”, or the apps or techniques you used for your photo, such as “#Iphone4”. You may also want to create a hashtag for an event, such as “#companybeachparty”. You should also use a hashtag when promoting a contest. #100likes, #200likes or #300likes, which can be added to your pictures when they reach 100, 200 or 300 or more likes. This makes it easier for others to find pictures that have reached this capacity. #yourcompanynamepop will enable others to find your most popular pictures in one place. #tbt (Throw-back Thursday) or #flashbackfriday are used when you want to post pictures of your past. There is truly no limit to the number and type of hashtags you can use. Stay tuned for more interesting tips and share them with your friends and contact us for any website related needs.